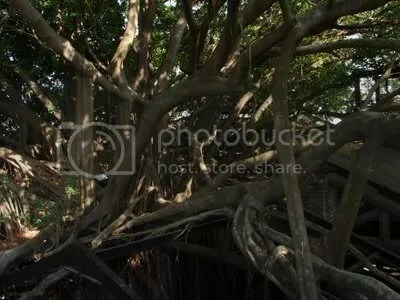 “I like the idea of trees as these delicately balanced monstrosities perched over everything.” –Tim (who is found here). 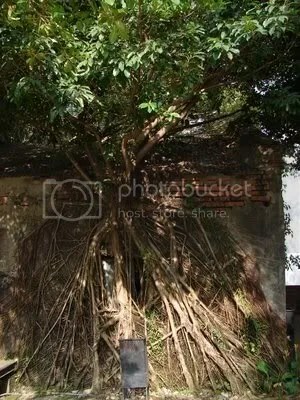 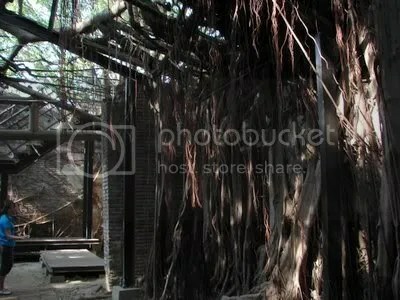 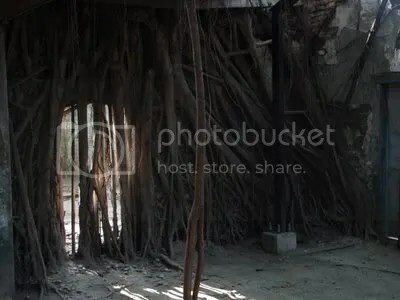 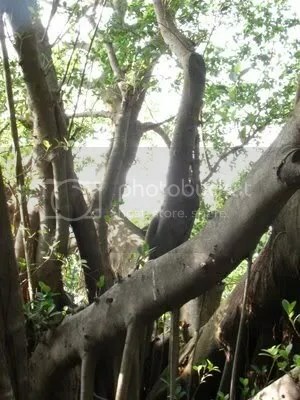 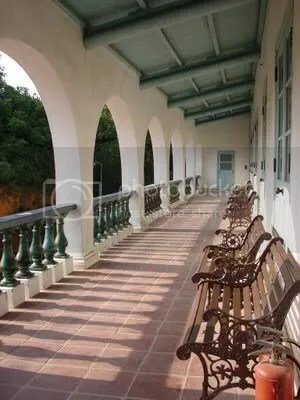 Here are my so-so shots of the Anping Tree House. 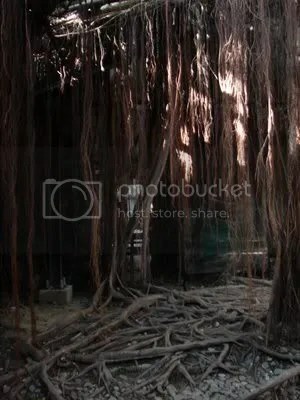 On the day we went, the three degrees cooler in the shade could be felt beneath the roof which essentially is made up of extended branches and the leaves of the banyan trees. 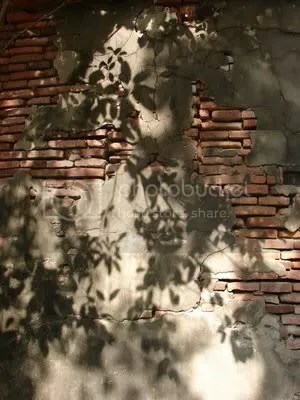 Shadows on the outside wall. 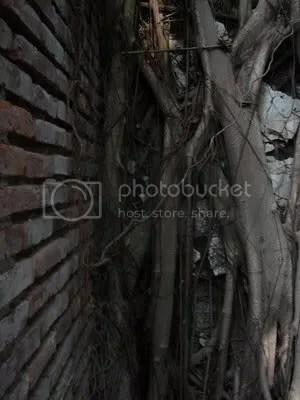 I suspect once upon a time there was a door here one could actually enter. 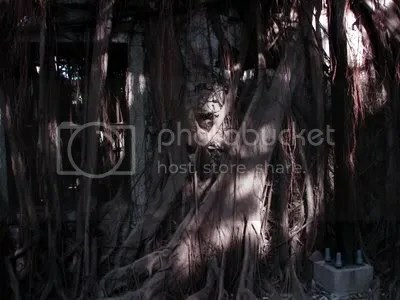 The roots dangle down through the empty rooms, forming curtains that caught the waning afternoon light and swayed gently in the breeze. 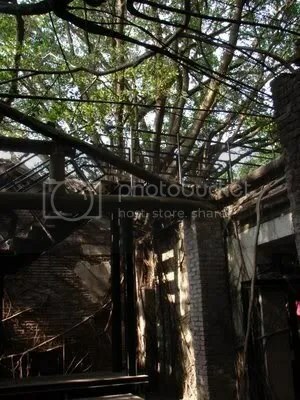 The steel beams support the tree roof. 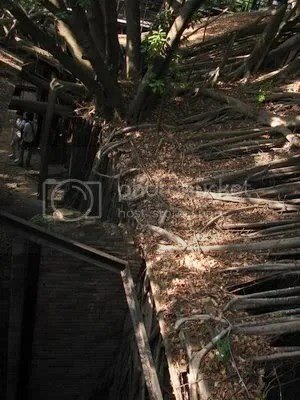 The trees trace the angle of the rooftops. 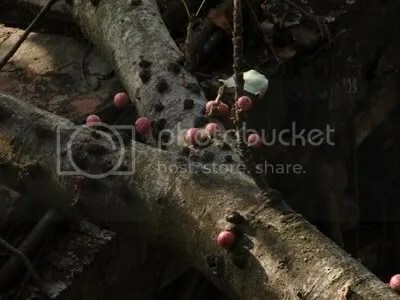 Close-up of a tree trunk with berries. 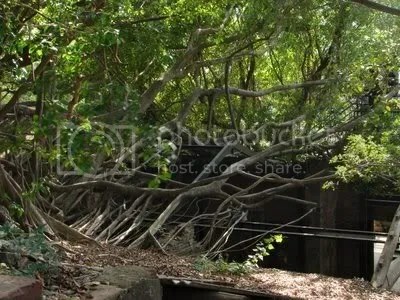 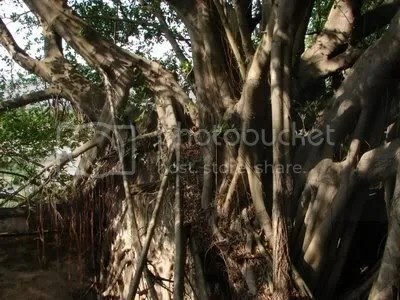 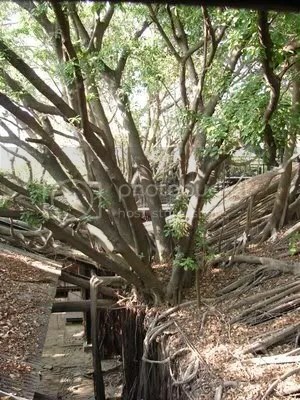 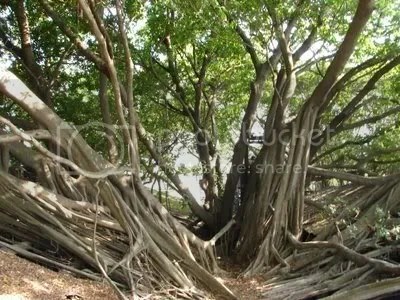 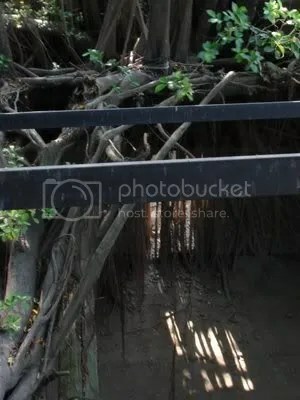 The tree house that has banyan trees growing out of and through it. 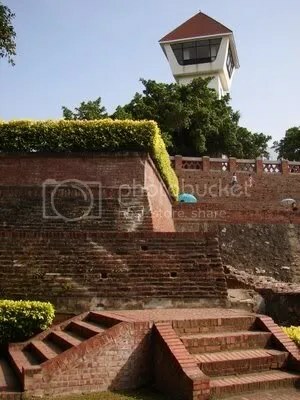 As well as the merchant house which has exhibits featuring wax figures doing things like gathering salt, signing treaties, and crushing sugar cane.